Everyone is now looking forward to Spring with its cookouts and porch cocktails which means it’s also time to get ready for guests. Even though the powder room is one of the smallest rooms in your home, it is also one of the most viewed by your guests. That’s why powder room updates are a must this time of year. 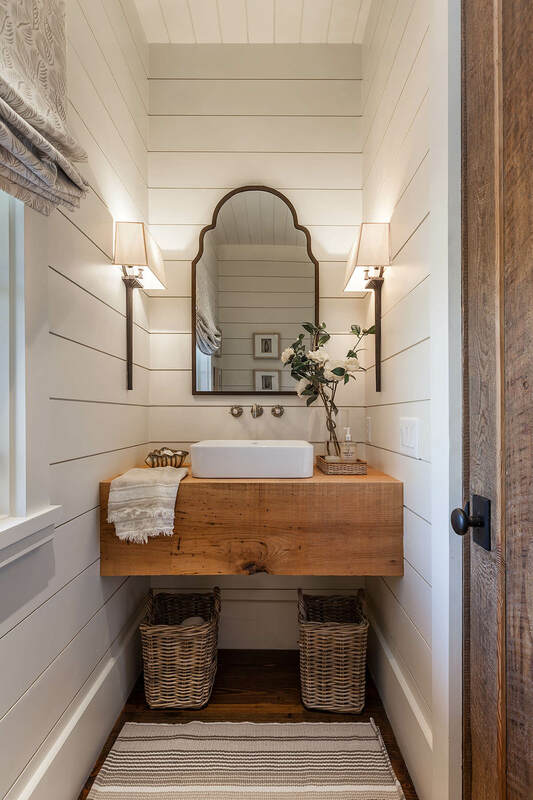 To gain inspiration or just for fun, let’s turn our attention to this special space and imagine the possibilities for Springtime powder room decor. Create a fun variated Spring green tile statement wall to make your powder room stand out. This otherwise bright white room gets plenty of natural light flowing in through the window which is immediately reflected by the mirror. If a fully tiled wall feels too overwhelming for you, try tiling half a wall for a slightly different look. You can turn even the most neutral of settings into Spring with a little pop of green from a freshly cut flower in a vase. 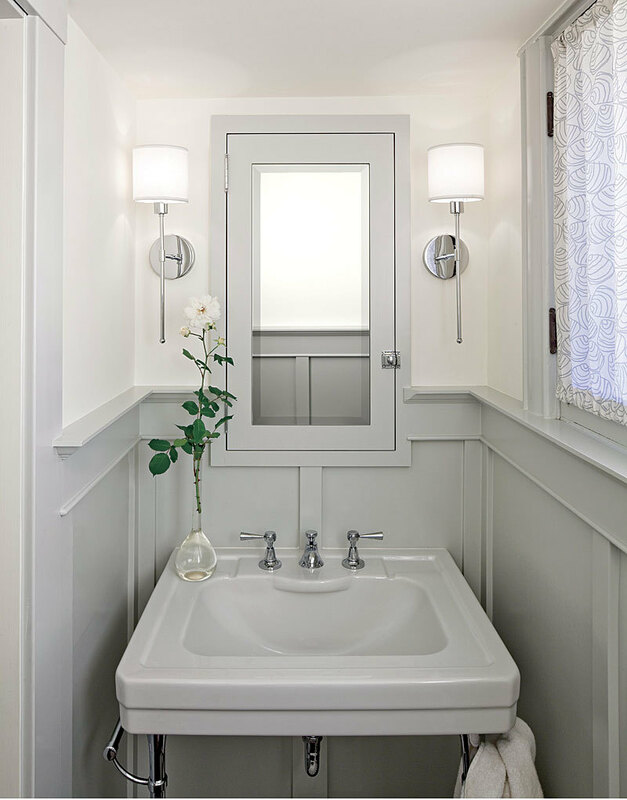 This little powder room carries a subtle impact of nostalgia with the 50s era style sink in a contemporary color that looks perfect with the contemporary lighting in this refreshing fit-for-Spring powder room. If you enjoy a farmhouse look, you’ll love this rustic shiplap decor with all its earthy natural elements. This is also a good example of natural lighting and accent lighting working together in mirrored reflection to give your guests a bright and cheerful environment. Of course, you don’t want to forget the flowers to fill the room with the scents of the season. Metallic bathroom basins of all shapes and many different materials are coming into the spotlight for bathroom design. Get ahead of the trend and start shopping around for the perfect metallic basin and fixtures for your guest powder room. This is an addition that is not only sure to impress, but they also bring an aura of earth elements beautifully and artistically into your space. It is my hope that you gleaned some inspiration from these examples. 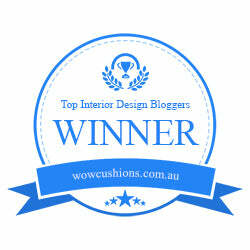 Naturally, this only touches the surface of excellent ideas for Spring design so keep coming back to learn more. I wish you the best of success with your Spring 2019 powder room design.